Searching for family-friendly Caribbean Destinations? With over 700 islands, the Caribbean is a sun-drenched, tropical paradise, and each island is so diverse. Not only do they all have stunning beaches, distinct cultures and their own individual charm, each island also has its own fabulous resorts offering a plethora of attractions, including first-class diving in the Bahamas; rich Hispanic culture in Puerto Rico; urban ramblings in Curacao; and bird-watching in Tobago. One of the Caribbean’s most popular destinations and probably one of the most family-friendly Caribbean islands, there’s plenty to explore with its 700 islands and cays. The Bahamas has it all – and families flock in their droves to experience the luxurious accommodation, offshore reefs, wildlife preserves and plentiful golf courses. Meanwhile, the Reef at Atlantis is an adventure playground for children of all ages and a luxury family resort. If you’re looking for a glamorous beach resort and some of the best restaurants, hotels and luxury family resorts in the Caribbean, then Barbados is the island for you. However, it’s not all about the glitz, the capital Bridgetown is on the UNESCO World Heritage List and there is so much to see and do from visiting the plantation houses, botanical gardens and caves. 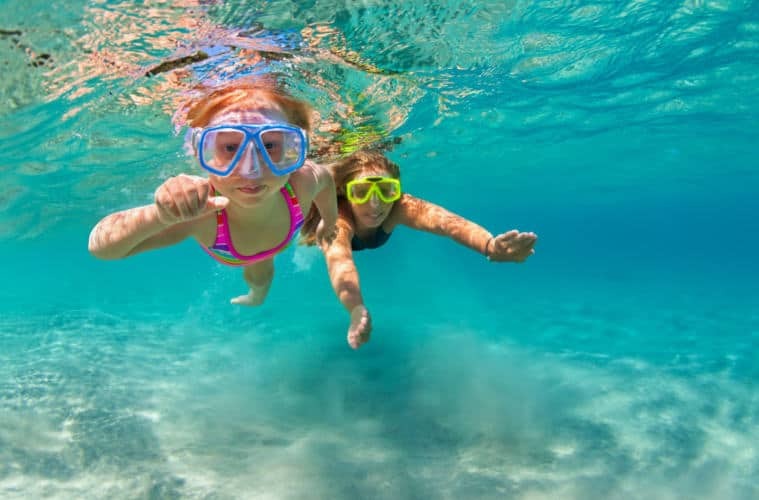 With its three islands, Grand Cayman is one of the Caribbean’s top Caribbean islands for kids – and it’s easy to see why with its pristine beaches and abundance of water sports. This British territory also has the Mastic Reserve as well as the annual Pirates Week Festival in November, which is an especially good time to visit with children. 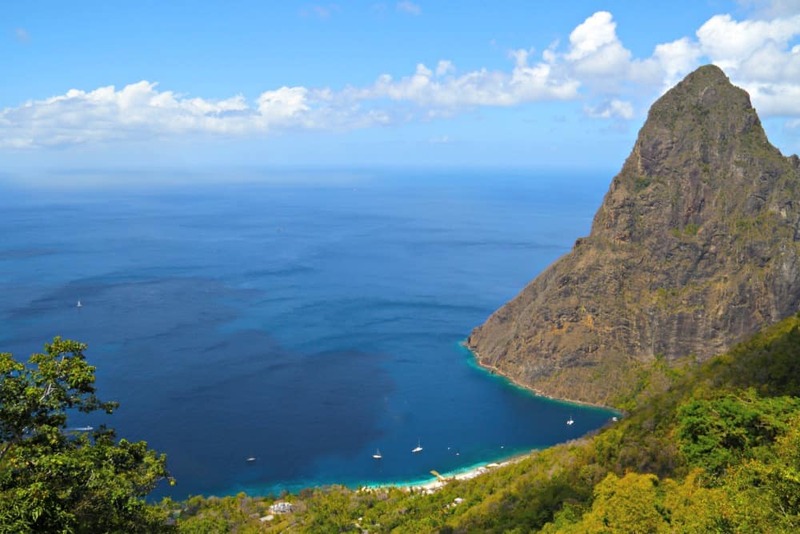 You can enjoy the natural beauty of St Lucia’s two distinctive mountains, the Pitons, in Soufriere. St Lucia’s reef-diving sites, rain forests and waterfalls such as at Toraille are also popular attractions. It’s home to quiet volcanic beaches, fishing villages and banana plantations as well as luxurious resorts. • Venture into the world’s only drive-in volcano in Soufriere. Known as the Sulphur Springs, the road runs right up to and through the crater of the volcano, which emits steam and sulphur with boiling mud and water! 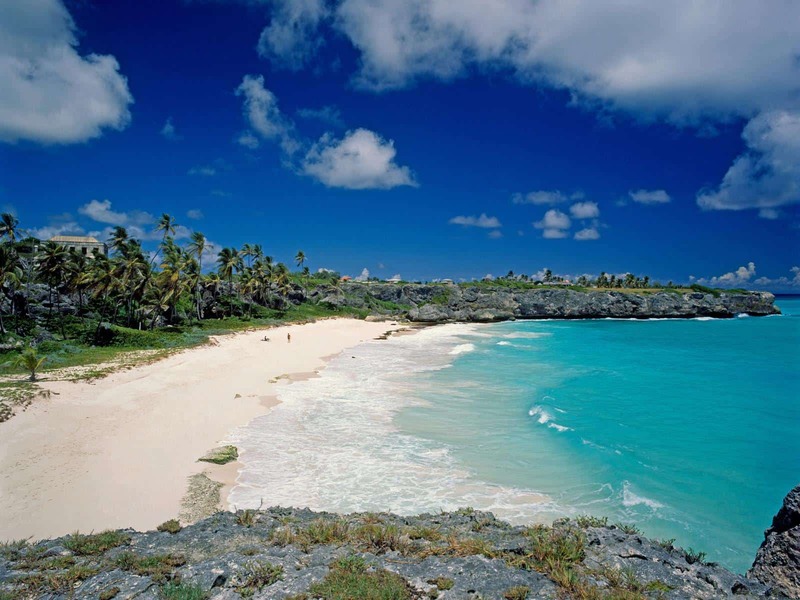 Turks and Caicos is an archipelago of 40 low-lying coral islands in the Atlantic Ocean. Small in size, it’s a desert-island paradise with Providenciales being the main hub – everywhere else is quiet in comparison but that doesn’t mean there isn’t a whole range of experiences to be enjoyed – perfect for a family holiday in the Caribbean. 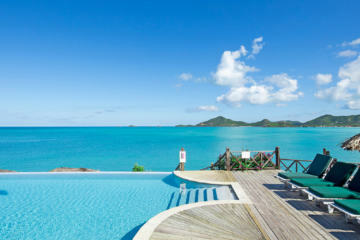 Hope these suggestions help narrow down your options for the best Caribbean islands for kids. But whichever one you decide on, you won’t go wrong – all the islands in the Caribbean are very family-friendly, and the fun part is planning your trip. Happy travels! *Disclaimer: This is a collaborative post. It also contains affiliate links. Love this guide – I’ve visited a few of the destinations and I’d agree, they’re hugely family friendly. 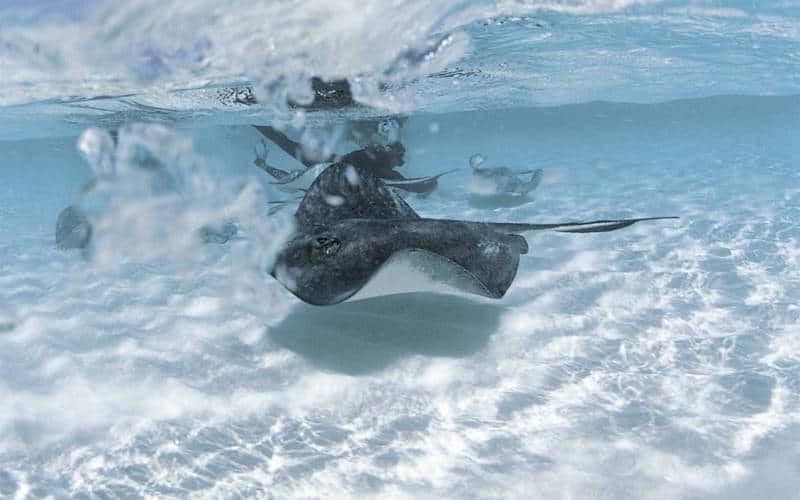 Stingray city in Grand Cayman is amazing as well. Unfortunately no… I wish we were! Ah! I’d say that the Caribbean appeals to all ages, doesn’t it?!?! I’ve read many posts lately about the Atlantis…it looks massive, but it has many kid friendly activities! Doesn’t it just. I think you could stay in the Atlantis and never leave the place! Good list! I am just dying to go to T & C and Barbados. My parents have a place down in FL so we always justify not going to the islands by staying there for free – but that means no islands! Gotta make it happen..
Oh yes, they do indeed! Gorgeous photos! I love the Carabbean islands. Thank you – me too! This is great! I am always so overwhelmed when looking at places in the Caribbean. Love to more of an inside track! Turks and Caicos has been on our list for a long time – waiting until we can all dive there as a family! Grand Cayman and Bahamas are excellent. Those beaches! That water! Oh yes, that water… wish I was there now! Going to the Caribbean for the first time in October – Jamaica – and can’t wait. It isn’t on the list (is this a First Choice list?) but maybe this will be the start of more Caribbean island hopping. I applaud your daughter for doing something a little different! A cruise will be a great way to set off on her travels, not like me getting lost in India! Those photos….quick, take me there now! Turks and Caicos has always been high on my list and sounds like a winner from your description. My husband never forgets to remind me he was born in Barbados so I reckon I’ll probably need a visit there at some point… I can add tramping bare foot on cocoa beans in Granada to your list – a personal highlight I reckon the wee ones would love as much as I did despite me being very definitely not a child when we visited! Tramping bare foot in Granada sounds wonderful! How could you not love it! I have always leaned more to Asia than the Caribbean, but I can see the appeal. The water and sand alone looks divine! Stunning locations, how I would love to be there with the children right now! Awww lovely places and those beaches reminds me of home! Gorgeous aren’t they? Such a tough choice! I’m the same, I definitely haven’t explored enough of this part of the world. I think I would like to sit on the beach and pretty much nothing else! Awesome picks! There are several there that I am really excited to check out! Oh wow – they all look amazing! Where to choose?! It’s a tough choice but don’t think you could go wrong with any! Barbados does look wonderful! I’d love to take my Monkey too! Other family friendly islands include Puerto Rico (caves, rivers, botanical gardens, zoos, lots of water and land sports) and the Dominican Republic (similar attractions to Puerto Rico). The DR can be a bargain compared to other islands. I was going to include Puerto Rico, but I could only do Five. I should have done a Top 10! That’s a pretty awesome guide!! I want to visit them all… and if by then I already have kids, I will certainly keep that in mind! Yes, the diving looks awesome out there! You’d be right at home! We have never been to the Caribbean- looking at those photos makes me want to pack up our bags and leave the cold winter of Melbourne! Out of curiosity, is there a time of year that is better to visit than other times? I get what you’re saying. It’s great you can give us an inside perspective. Have been to a few Caribbean islands, but none of these. Now I know there to go next! there are so many! It’s a tough decision! Love what you’ve done with this post. I love the Caribbean but haven been with children yet, have always fanciedTurks and Caicos though. Maybe one year! Too many places, too little time! We loved St. Lucia, it was one of our favorite Caribbean islands. We stayed at the Windjammer Resort which was all Inclusive, and the kids got to go snorkeling, water skiing and tubing. I don’t think you can go wrong on any of the islands – but glad to hear your kids loved it just as much as you! I wish I was there now! Thanks for popping by, really appreciate it. I’ve been thinking about cruising too, they are so family-friendly and you get to explore more! So seriously gorgeous. I just want to lounge on the beach at all of them! Hard to choose! They do all look stunning! 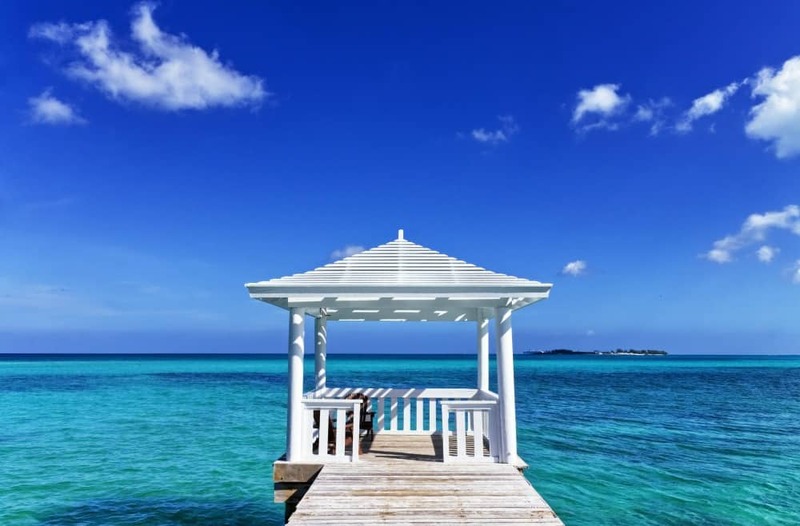 Fabulous guide to the Caribbean Ting 🙂 I worked in the Caribbean for a few years onboard cruise ships and more recently travelled around the islands whilst working for a tour operator. As you mentioned, it is such a family friendly place. 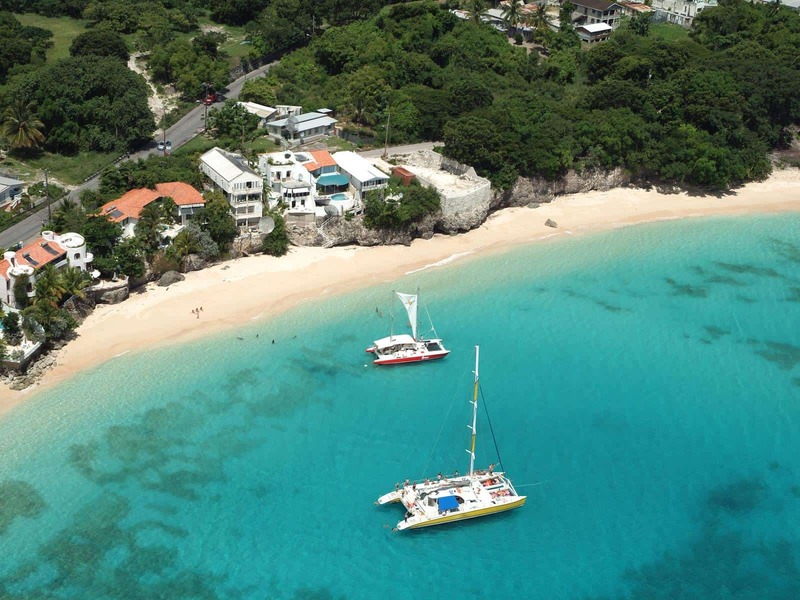 I would struggle to name my top five but I would include the BVI (British Virgin Islands) for families who love water sports (fly via Antigua) and also Grenada the spice island to visit Grand Anse beach and the nutmeg plantations (again fly via Antigua). Your lovely photos have made me want to go back there to drink cocktails on the beach Ting!! I would love to explore the Caribbean more – I’ve only ever been to Antigua. I’ve definitely been leaning more towards cruising, I think it would be a really good way to see a lot of them in one go!